Hiri is the disgusting of sins or shame to do sinful deals. Afraid to the sin and dread to do sinful deals is the Otappa. Because of these two, good, intelligent people go away from sins. Therefore those two phenomena is called the "world controlling phenomena". Ahirika and Anottappa is most powerful phenomena of sins and Hiri and Otappa is the most powerful phenomena in merits. Not only shame for sins but also shame to merits in the world. Someone who dealing with sins all the time have some shame to do meritable deeds. Someone has a shame to observe sil. Shame to do merits is not Hiri. It is the malice of disgusting the merit. Someone afraid to do merits and even go to that places. That fear for merits is not the Otappa and it is a type of malice posing as fear. As the light against the darkness, Aloba is against the Loba (greed). The Greed is sticked to the object aims as a gum. Aloba mind takes aims of objects as water drop on lotus leaf without sticking the object. You should not take the Aloba is no greed. It is some phenomena which oppose to the Greed. No greed is not the Aloba. There is a phenomena which is not letting the malice to come is Adosa. Like of happen a good to others or loving kindness is also known as adosa. Malice mind is taking aims like a dog is catching a rabbit and Adosa is taking aims like a mother taking her infant to hands. Amoha oppose to the delusion which covers the reality of the aiming object. It helps to take the aims correctly. Wisdom or science is other two names we can use to describe this Amoha. Among the above three phenomena Aloba oppose to greed, Adosa oppose to malice and Amoha oppose to delusion. In other words Aloba is the cause for alms, Adosa is the cause for virtue and Amoha is the cause for mediation. A person with greed think about the object and persons over limit. He thinks about the Aloba very cheaply. Wicked person sees the good qualities of virtuous people very simply. Adosa takes the qualities of virtuous people as it is. Because of the Amoha people understand the reasons very clearly and correctly. Aloba also accept the error as it is. Niggard (person with greedy mind) hides the errors. People with delusion takes the truth as false and false as truth. Because of Aloba suffer of deprivation of likeable will not appear. Suffer of closing un-likable will not appear because of Adosa. The suffer of not receiving the likable things will not appear with Amoha. The suffer of birth will not come because of Aloba. It is because Aloba is oppose to the Greed which helps to suffer of rebirth (Jati). There will no ageing (Jara) suffer because of Adosa. People with malice become ageing rapidly. There will not death (Marana) suffer because of Amoha. Death with delusion is high suffering. Because of Aloba, family members can live together in peace. Because of Adosa, clergy can live together in peace. Because of Amoha, everyone can live together in peace. Many creatures born as Peta because of the greed (Loba). Aloba helps not come to the Peta status. Many creatures born in hell because of the malice (Dosa). Adosa helps not to born in hell. Many creatures born as animals because of the delusion (Moha). Amoha helps them not to born as animals. Aloba helps not to take lascivious aims. Aloba helps to stop go to deep of Kamasukallikanuyoga (highly attached to the sensual pleasure). Adosa helps to not to go to deep end of Attakilamatanuyoga (giving more suffer to the body). Because of Amoha people can take the middle path. Because of Aloba, Kayanupassana can grow. Because of Adosa, Vedananupassana grows. Because of Amoha other two Satipattanas grow. Aloba helps to healthy body. Adosa helps to prevent the youth for more time. Person with delusion, become to death more rapidly because of lack of understanding good and bad. Amoha will help to identify the good and bad. Because of that people with Amoha can live more. Aloba results for receiving. Adosa causes for gathering good friends. Aloba helps to take divine life. 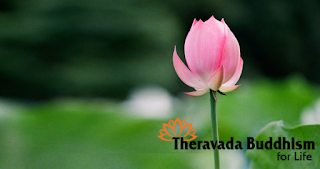 Adosa helps to take Brahma life. Amoha helps to take a Noble life.